A weight loss journey isn’t linear. It’s up and down, high and low. Some weeks you kill it mentally and physically. Everything is aligned, you’re motivated, and knocking out good choice after good choice. Other weeks you’re off. Unfocused mentally, making poor choices that you KNOW aren’t beneficial and the last thing you want to do is cook a meal for yourself. I’ve come to accept that both avenues are just part of the process. I can’t expect myself to be a robot who never gets off track (you can’t expect that of yourself either, by the way), but what what I can expect of myself is to pull it together and get back to what works and what makes me feel my very best. When I’ve gone off track in the past, it’s taken me different amounts of time to get back on my Keto track. Sometimes I bounce back quickly, other times it takes me an extended amount of time. So, how do I do it? How do I bounce back? It’s important to note that as I’m writing this, I’m trying to bounce back. These are strategies and tactics that Im coaching myself through right now at this very minute. I’m not writing these as an expert, but as someone who genuinely needs to read this. Take a look at the next few days and do your best to be aware of what’s coming up. Do you know that you’ll be going out to dinner at a restaurant on the weekend? Do you know if you’re going to be extra busy and won’t have as much free time? By having an idea of what your next few days will most likely look like (I can’t plan longer than a week) you can mentally prepare yourself and make plans for staying on track. If you know you’re going out to a restaurant, you can view the menu online before you go and already pick out what you’re going to eat. Personally, I hate doing that. I think browsing the menu and looking at the food as it comes out of the kitchen is part of the fun of restaurants, but I’ve had to learn that I need blinders up, especially when I’m trying to bounce back. If you know that you’re having a particularly busy day, you can meal prep a couple of days before, so the question, “what am I going to eat?” is already answered. What are the Keto Basics? Know the “why” behind things always helps me snap back in line. When I go back and refresh myself on the science behind Keto (read more here) and remember what happens in my body when I eat high carbohydrate foods, it helps me center myself and make better choices. Just like refreshing myself on the science behind Keto is helpful, it’s incredibly helpful for me to remember my personal reasons for this lifestyle change. I think about my hormones and PCOS, the person I want to be in the future, and I think about the long game. Yes, it’s going to take time to fully heal my hormones and reverse my PCOS, but I believe that it will happen. Reframing my priorities is always helpful. I LOVE Keto food! It’s rich, delicious, and filling. All of my favorite things. But the crazy thing is that sometimes I forget that I love it. When I need to get back on track, I’m not going to try out a brand new recipe that may or may not be a winner. I am going to prepare food that I know I LOVE and that makes me feel good after I eat it. This is a biggie for me. When I can’t bounce back for an extended time, I know that something is off emotionally. Whether I am avoiding dealing with feelings or I am actually in my feelings processing through tough things, my desire for junk food is high. I haven’t 100% made the connection that the last thing my body needs when I’m down is damaging food. I’ll get there one day. When there is deep emotional issues and I need help processing, I bring in the big guns (read here). To sum it all up, the way I am bouncing back is mostly all mental. It’s coaching myself to remember the “why” behind why I wanted to eat this way, why I love Keto food, and why food is not the way you heal your emotions. It’s getting back into the driver’s seat instead of letting your cravings drive the car. It’s about taking back control of your choices and your life. If you find yourself un-motivated and unable to stop ordering fried chicken sandwiches and french fries from Chick-fil-A (just me? No?) take a minute to stop and think about what’s coming up, plan, reframe your priorities, and get back to the basics. Pro-Tip: write these things down! Write down your priorities, reasons why and what you want. If you have any tips as to getting back on your healthy habits, I would love to hear them! And yes, sometimes I call myself “superstar” don’t judge. In a recent blog post, I made the case for how Essential Oils are beneficial for emotional support (read here). Something I've been curious about since then is pairing Essential Oils with Enneagram Types. Interesting, right? Before diving in, let me share with you some basics about the Enneagram, why I love it, and why I think it's important. The Enneagram is a personality type system that pinpoints how each of us are wired. It's all about what drives us and gives us the "why" behind the way we react and respond to situations. The Enneagram helps identify why you see the world from your perspective and, when you get gut-level honest, it can be an avenue for major personal growth. Once I started digging in and doing the work, the Enneagram helped me see myself and the people around me in a different light. Just to clarify, the Enneagram doesn't replace God's work in my life, it points me towards God. It's a tool in my toolbelt that helps me grow, mature, and have deeper empathy for other people. People a lot smarter than me can better describe what the Enneagram is and how it works. Read here, here, and read the posts on this Instagram account. You can even take a class about learning the Enneagram. If you're curious as to where you fall on the Enneagram, you can take this Assessment linked below, then start reading! It's important to note that you won't fully know your type until you've done a little research beyond the initial test. Let this assessment point you in the right direction. There are 9 different types within the Enneagram and people fall into one of the types. The Enneagram says that each of the 9 types have specific growth areas, fears, and that each type's greatest strength is also their greatest weakness. Again, it's all about motives and the way we are wired to think and perceive the world around us. Where one type is constantly riddled with anxiety and can't turn their brain off, another type is deeply resentful and holds onto anger far too long. It's not that everyone can't feel overlapping feelings, it's just that different emotions are magnified within each type. What I want to zero in on is how each type specifically deals with their emotions and how I believe that we can use the molecular power of essential oils to help us process and release our toughest emotions. I believe that one of the most important steps to taking control of your health is discovering who you really are and what you really need. Because of those beliefs I'm putting a resource together to combine Essential Oils and the Enneagram. I've started combing through all of the educational resources I can get my hands on to find at least two beneficial oil singles or blends (singles are one single essential oil in one bottle and blends are multiple essential oils in one bottle) based on the specific needs of each Enneagram type. This resource will share specific oils and blends to sustain you when you're in a good place and to help you for when you're in the not-so-good places emotionally. Don't you want to use all the resources available to grow and mature? I do and I hope you do, too! I'm sharing what I've learned in a free online workshop on October 4 and I would love for you to join me! This is a free workshop and it's happening online so you can join us while wearing your comfiest pjs or sweatpants. This is my first online workshop and I am so excited! You can click the button above and go to the Facebook event. Click "going" to let me know that you're going to join me! Don't feel like you have to be an expert in the Enneagram to participate in this workshop. I am going to share the basics about each Enneagram type. It would be helpful if you had an idea of what type you might be. You can take that Assessment linked above (it's free!). If you have any questions about Oils and/or the Enneagram, you can let me know by leaving a comment or messaging me through the Facebook Event. This is going to be fun! Let's just be honest about something and say it out loud: we need emotional support. Our modern life is demanding. Our lives are all over the place. We are constantly being pushed and pulled in different directions. Whether our circumstances were our choices or not, we are still responsible for our own emotional support. Just so we're on the same page, this is what I mean by emotional support: doing things to support our overall emotional health. We need emotional support relationally. We need a tight inner circle of friends built on trust and loyalty. That inner circle can be one person or multiple people. The number doesn't matter. What matters is getting plugged into a community of people who you trust. We need emotional support spiritually. Everyone has a soul. It's what makes us human. As a Christ follower, I have a personal relationship with Jesus. Through prayer and scripture reading, I connect with God daily and it's one of the biggest and most important markers in my life. We need emotional support physically. We must make physical choices to benefit our bodies. Eating nourishing foods (hello, Keto! ), staying hydrated, and participating in energizing/stress reducing activities like relaxing hobbies or walking your dog. There is one more element that I am going to add physical realm here --- Essential Oils. Regular use of essential oils has been so beneficial to my overall emotional health! I want to make something clear: Essential Oils are just one of the tools available to help with emotional support. While they've been incredibly helpful to me on my journey, they might not be as helpful for you. Question - What controls our emotions? First off, I slept through my biology classes in high school and college. I was NOT interested. Since I can't go back in time and tell the teenage version of myself to pay attention, I'm having to go back and re-learn a few basic things. The Limbic System is the part of our brains that controls emotions, memories, and stimulation. The Limbic System is what helps us govern our emotions. More often than not, we need help regulating our emotions and reducing anxiety. Enter Essential Oils. Read more about the Limbic System here. When we inhale or apply essential oils directly to our skin, the tiny barrier breaking molecules in the oils can permeate the skin, get into our bloodstream, and ride all the way up to our brains. That's a really good thing because it can happen very quickly! Essential Oils --- good, quality, essential oils, not the kind you can buy off amazon or at the check-out lines in TJ Maxx --- can calm you down, give you energy, and balance your hormones. Meaning, essential oils can give you emotional support. Here are a few oils you can use for emotional support - Peppermint, Lavender, Stress Away, Valor, Joy, and Release. You can breathe them in aromatically by diffusing or holding the bottle up to your nose or you can rub a drop on your neck, hands, wrists, or chest. How do I know when I need emotional support? Do you experience major stress or are you easily stressed out? Do you have anxiety about one or a lot of things? Are you under pressure at work or at home? Is your energy depleted by the early afternoon? Do you feel lonely and/or isolated? Do you feel like you can't think clearly? Does your body feel tense? Do you feel restless? Is your mind always running? If you answered yes to one or more these questions, you need emotional support. What are other ways I can support my emotions? I've found that when I use my oils in combination with these other things, -- like diffusing Stress Away while I crochet -- I feel doubly supported and know that I'm less likely to spin out in my thoughts. TL;DR - We all need emotional support. Oils can get to the part of our brains that control our emotions. Use oils to help regulate your emotions. Again, Oils are just one tool available for us to use. With everything that could be going on in our lives (job pressure, family stress, anxiety) don't you want every tool in your tool belt to fight against emotional distress? I know I do. If you want to know more, click below to continue this conversation. Thank you! I’ll get back with you as soon as possible! and read through my Essential Oils posts on my blog! I wanted to share some behind the scenes action with you on what a normal day in my life looks like. After I posted a couple of my Keto and Intermittent Fasting blogs, a few friends reached out and asked me what my days typically look like, when I eat, what I eat, and what I do, so here we go! Instead of starting in the morning, we're starting at dinner time the night before. 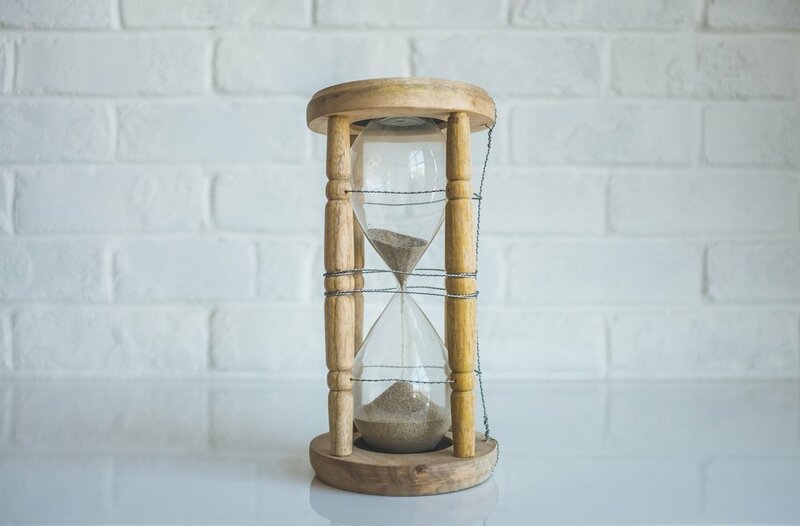 When you're doing Intermittent Fasting (read more about IF here and here), the clock starts ticking for your fasting window as soon as you finish your last meal of the day. For me, I aim to complete my last meal between 6:00-7:00pm. When you eat a nourishing and satisfying meal the night before, you are setting yourself up for success the next day. A typical dinner at our house looks like protein cooked in fat with a side of vegetables cooked in fat. Example - Ribeye Steak (or whatever cut of beef is on the best sale at the grocery store) cooked on my cast iron skillet in grass-fed butter, avocado oil, and garlic with roasted broccoli that I drizzled with avocado oil. I don't normally track my food or macros, but I know I know I'm staying below 5oz of protein and am having 1-2 Cups of low carb vegetables during this example dinner meal. It's the fat that's most satisfying and what keeps me full for long periods of time. I start winding down for bed around 9:45. I do my night time routine -- take off my makeup, wash my face, brush my teeth, and wash my feet (weird I know, but I like it) and turn on my diffuser (usually lavender or stress away) and that signals my body that it's time to go to sleep. I'm usually asleep by 10:30. Lately, I've been sleeping with a sleep mask (such a diva, I know) and I think it really helps get me into the deep sleep cycle. Good sleep is so important to our overall health. I'm working up a separate post about what happens in our body when we sleep as far as our hormones are concerned. Turning on the diffuser while we're going to sleep has been very helpful for both Luke and me when it comes to good quality sleep. I am typically out of bed and into the day by 7:00am. I sit down with a cup of coffee, read my Bible, journal some thoughts and prayers, and write out what all I want to accomplish for the day. Getting started this way really helps me focus and know what to expect. Once I'm finished with my Bible reading and journaling, I'm ready to tackle my work tasks. In my coffee, I use about a TBSP of organic Heavy Whipping Cream. I use a milk frother (we have this one) to blend my coffee and cream and it makes a big difference in the texture of the coffee. I love it! I mentioned this in a previous blog about Intermittent Fasting, but I wanted to mention it again. Black coffee and a splash of cream (half & half or heavy whipping cream) will not break your fast, but anything more in your coffee WILL BREAK YOUR FAST. Fat and calories add up so quickly when you're adding creamer and sweetener. Make sure to pay attention or your fast will be broken. Intermittent fasting is all about the time between meals, you don't want to break your fast with a sugary latte or a bulletproof coffee. I typically start getting hungry and am ready for my first meal in between 1:00 and 2:00. That puts in an 18:6 IF eating window. If I'm hungry, I'll eat my first meal. If not, I'll just keep on chugging along on my work until I want to eat. When I first started Intermittent Fasting I would heat my first meal up in the microwave at 10:55 so I could start eating exactly at 11:00. I'm not joking, you guys! I've come along way since I first started IF! It goes to show that fasting is like a muscle. You have to start slow and build your way up. First meals look a lot like second meals. Protein, Fat, and Vegetable side. For example I would make a pot of butter chicken and serve it over asparagus, green beans, broccoli, cauliflower or any low carb vegetable cooked in butter. I meal prep lunches on Sundays, making sure I make enough to last all week. If I am using chicken for meal prep lunches, then I'll make sure it has some sort of sauce -- like butter chicken or curry -- because chicken can dry out in the microwave. After lunch I dive back into my work or meet up with someone for a coffee. Then, I start prepping dinner around 5:30 and the cycle starts over. That's a typical Keto and IF day for me! I love how now my day doesn't revolve around how often I could eat anymore. Now that I've been removed from it, it was exhausting (and expensive) to always healthy have snack food readily available. Eating this way gives me the freedom to be productive in my work and side hustles while taking the best care of myself. You'll notice that I didn't share my macros in my example meals. A lot of Keto people track macros and percentages, but I am not one of those people. I was overjoyed when I realized that I could delete MyFitnessPal forever! I have ALWAYS hated tracking my food. Even in my early days of Weight Watchers, I never tracked consistently. I used to think I didn't like tracking because I didn't want to own up to what I was eating. But now, I know it's because I genuinely don't like it - LOL. I do believe that tracking has it's place in a healthy lifestyle, I just don't feel the need to do it right now and that's okay! I would rather focus on eating the right foods until I'm satiated, not eating to the limit just because I could. I'm realizing now as I'm writing this that I still need time to heal and redeem that part of my story. "Breaking free from My Fitness Pal" sounds like a great blog to me! A few years ago, before I was interested in working on my health myself, I went into the doctor for my yearly check-up. We went through the normal things you do when visiting the doctor: step on the scale, check blood pressure, wait, visit with the doctor for 7 minutes, then leave. During those 7 minutes my doctor at the time was going on and on about my weight and how it needed to be lower. He left the room saying, "I'm going to set you up with our on staff nutritionist and she can give you some advice and tips on how to eat healthier." Admittedly, I was relieved. Finally, someone was going to hold my hand and help me navigate the waters of dieting and help me of lose weight, something I had never been able to do. A couple of weeks later I came back to the doctor's office to see the nutritionist. She was friendly and trim so I thought to myself, "she must know what she's talking about. I can trust her." We talked for about 30 minutes and she told me that I needed to swap white grains for whole wheat products (wheat bread, brown rice, whole wheat pastas), start cooking with vegetable oil instead of olive oil, flavor everything with the "I can't believe it's not butter" spray, switch to low calorie/low fat desserts, and put in an hour of cardio everyday. She said, "do all that and the weight will fall off in no time." She also told me to eat around 1500 calories. I wasn't surprised by the advice she gave as far as the swaps and other "tips" were concerned. I was, however, surprised and elated that it was going to be so easy to drop the excess pounds. I didn't know then what I know now. I know now that the advice overall is incorrect. I know about insulin resistance, the effects of processed foods, and that whole grain products are just as bad as white flour products (it all turns to sugar when processed in the body). When I look back on this experience today I see that the overall worst advice she gave me was not about the butter spray, although that was definitely the 2nd worst piece of advice (I was literally spraying chemicals and toxins onto my broccoli and thinking it was healthy). The worst advice was a copy/paste "solution". She didn't ask any questions about how certain foods made me feel. She didn't acknowledge my PCOS diagnosis. She didn't teach me how to look at food labels and be protective about what goes into my body. She wasn't looking at me with different eyes, but applying the same logic to me as she did to every patient. And that was the worst advice. Prescribing a one size fits all solution and not assuming that my issues were different. That I was overweight ONLY because of my choices and not because my body doesn't process things the same way as everyone else. Telling me that the weight would fall off if I followed her guidelines gave me false hope and brought me nowhere closer to getting healthier. I certainly don't share this story to belittle this person. I honestly don't even remember her name. I share it because it's a piece of my story. I followed her instructions for a period of time and I hated it. I was miserable and I didn't stick with it because I didn't feel any better and I didn't see the weight loss results that were promised to me. Again, I didn't know then what I know now. I know now that my body thrives when I'm not overloaded with carbohydrates and sugar. I know my body thrives when Im consuming higher fat and a moderate level of protein. I didn't know that grains, whole wheat or not, were wreaking havoc on my body. I'm so thankful that I finally became my own advocate. Even though I received bad advice, that didn't give me an out to continue the "nothing" that I was doing. This experience motivated me to start paying attention to what I was putting into my body, how it was affecting me, and realizing that if anything was going to change it had to come from me and not someone else. Once I started educating myself and believing that I could make and stick to new habits, that's when I started seeing progress. Losing weight and getting healthier is not a simple formula. It's not eating less and moving more ( Read more about the debunking of "calories in, calories out" here.). It's a choice that you have to make and you have to play the long game. Now I'm not just playing a long game, but a smart long game. I'm continually figuring out what works for me, what makes me feel good, and what I enjoy and I hope that you're encouraged to do the same! Intermittent Fasting (IF) is definitely a hot button topic. When I started paying attention to my blog analytics + the messages I have been receiving, I noticed 2 things: 1. People are curious 2. People are looking for answers. Before I continue on with my tips on getting started with IF, take a few minutes to read through my "what happened with I stopped eating breakfast" post. It goes through the basics and benefits of IF in easy to understand terms. Once you've done that, let's dive in! Every body is different. Everyone has their own issues. Just like I did my research in starting Keto, you've got to do the same thing here. Start with a Google Search, start listening to podcasts on Intermittent Fasting, and start soaking in advice from credible sources. Immerse yourself in the knowledge and start doing the mental work to set yourself up for success. It was so much easier for me to make the switch mentally and physically when I had the science to back me up. I was able to push through cravings and hunger pangs in the beginning because I knew what I was working toward. If you like Podcasts, I recommend listening to all of the podcasts on Fasting Talk. It's extreme, yes, as they talk about not just Intermittent Fasting, but extended fasting. Like "let's fast for a week or two" fasting. I'm definitely not there, I'm focused more on IF, but it's FASCINATING. If you want to read or listen to a book, I recommend The Complete Guide to Fasting. Even though I haven't finished the book just yet, I've read enough to confidently recommend it. The same people who wrote this book facilitated the Fasting Talk podcast and the information is the same. The next book I'm going to read is the Obesity Code by Dr. Jason Fung. I am really excited to dive into that! You can read it too and we can have a book club, cool? If you are looking for voices to listen to - bloggers, article writers, social media accounts to follow - then I recommend Dr. Jason Fung, Megan Ramos, Jimmy Moore, LeAnn Vogel, and Jessica Tye. One of the best ways you can start IF is by being conscious of your snacking and working to eliminate it all together. Make the most out of your meal times by eating delicious and nutritionally dense food. If you feel the urge to snack out of habit or because you're "snack-y" (my word for when I want to eat because I'm bored or want to avoid something), distract yourself by drinking a glass of water or a La Croix, doing a beneficial chore like putting away laundry, or simply changing your scenery (leave the room). Doing a combination of these things helps to distract my mind from wanting to snack. This was particularly difficult after dinner. I was a major after dinner snacker and I still struggle with this from time to time! It's most helpful when I have an activity like crochet or I'm browsing things on Pinterest -- something to keep my hands busy. It's also mega helpful if I keep cravings or snack ideas to myself. As soon as I say them out loud, it's over. The first number is how many hours you go without eating (fasting). The second number is the accumulative hours where you can eat. Let's take 16:8 for example, if you FINISH eating dinner at 7:00 and don't have any after dinner snacks, then your fasting would last until 11:00am. That's 16 hours of IF. Then, you would have from 11:00 am - 7:00 pm to eat your 2 meals. Let's do the same thing for 18:6. If you finish dinner by 7:00pm, then you could have your first meal after 1:00pm and your 2nd meal would be finished by 7:00pm. And just for good measure let's see what 20:4 would look like. If you finish dinner by 7:00pm, then you would eat between 3:00-7:00pm. Easy enough, right? Keto and Intermittent Fasting work very well together. Because of the high fat content in the Keto Way of Eating, you stay fuller for longer periods of time. This enables you to go longer in between meals. When you're eating mostly carbohydrates, you do not stay full. I can attest to this from my own experience. I share more details on that in this blog post. So, when you're ready to make your first attempt at IF, eat a good Keto meal the night before. Make sure that you eat enough. One of the worst things you can do for your body and your metabolism is eat a low calorie meal before you fast. You can totally do IF without doing Keto or another low carb eating style, it's just going to be difficult. Again, I can back that up from my own experience. When you wake up in the morning, don't tell yourself that you can't eat. Don't obsess about it. For me, when I obsess about something I drive myself so crazy that I find myself doing exactly what I said I wouldn't do. Can anyone relate to that? When you're just starting out, all you're doing is seeing how long you can go before you eat your first meal. Get out of bed, have a glass of water, **drink a cup of coffee and do all of your morning things (other than having a bowl of cereal, a couple of pieces of toast, and a glass of orange juice. Don't do that). When you are legitimately hungry (not when you're bored, eating because others are eating, or because it's "time" to eat), have your first meal. Pay attention to the time and see how long you went between the last thing you ate the night before and now (including sleeping time!). Those are my tips for getting started! If this is something that you're interested in or think would benefit you, you should give it a try! I know it might seem scary to think about going 16, 18, or 20 hours without having a snack or skipping a whole meal, but let me tell you that you are totally capable of doing it! If you can't make it a full 16 hours, be proud of yourself going 10 or 12! This is YOUR journey your progress is the only thing that matters. Thinking through that quote has helped me stay focused on what I am doing and not be envious of other people, but inspired by them. **A note about Coffee. You can have coffee during your fasting times. Black coffee is best. You can have a splash of cream (I use Heavy Whipping Cream) and it will not break your fast. A bulletproof coffee WILL break your fast, though. So just be mindful of what you put in your coffee and how much you're putting in your coffee. Intermittent Fasting (IF) has become a big part of my life and one of the keys to my Keto success thus far. IF is periods of eating and not eating. It's an eating pattern, not an "eat this not that" type of deal and it's pretty popular in the health/wellness/weight loss space right now. Around this time last summer I started hearing about IF and I was NOT interested. Give up one of my meal times? No way. You see up until last fall, one week after my 29th birthday to be exact, food controlled my life. "What am I going to eat today?" "What do I have to snack on?" "What flavors sound good?" And other questions like that ruled my day. All I had ever known was that you eat 3 meals a day and breakfast is the most important one. It was counter-cultural to hear that you could only eat twice or dare I say it, once, a day. I didn't want to give up another time where I could eat because I was "supposed to." It wasn't that I was hungry when I woke up in the morning or when I got to work, it's that I could eat and no one would think anything of it because it was breakfast time. At that point in my life, I was more concerned with eating as much as I could instead of stopping to think, "am I actually hungry right now?" Everything changed when I really dove into the science behind Keto. I read this book and for the first time, I felt like it was okay for me to skip breakfast. It was like I had permission to do something new that would help me long term. Looking back, it was one of my first major step towards intuitive eating and learning how to listen to my body. I see it as a way to let my digestive system take a break and slow down instead of it going at full speed during the hours I'm awake. The longer you fast, the more time your digestive system (mainly your liver and pancreas) have time to rest. Because no new food has been introduced, whenever the body says, "Hey, I need some energy!" It can pull energy from fat stores and burn fat instead of whatever snack was just consumed. As I've shared before in other blog posts, I am not a medical professional, just someone who decided to learn more and try things for myself! What are the benefits of IF? Decreases insulin resistance over time -- I talk more about insulin resistance in this post. Anti-aging -- "When you fast, it gives your cells the ability to detox and recycle, so your body can slow down aging and even prevent age-related diseases." Read more here and here. Weight loss -- it's real fat loss not lean tissue/muscle loss. It's the kind of weight you want to lose. Stimulates brain -- Check this out. Side note: I'm starting to understand now why Fasting is spiritual. Posts on that coming in the future. And there's more, but that's a lot of info to comb through, so I'm going to stop here. You can read more articles about the benefits of IF here, here, and here. How did you actually start doing IF? It was actually pretty easy for me to get started. When I woke up I would have my coffee (coffee with a splash of cream doesn't break your fast, a bulletproof coffee will tho) and then plan to eat lunch around 11:00. Meal prepping definitely helped me get into the rhythm because I knew that I didn't have to worry about what I would eat, it was already there ready for me. Over time I backed my lunch up in 30 minute increments. Now, I can wait until 1:00 or 1:30 before I'm thinking about lunch. How do Keto and IF work together? Since IF is all about when you eat, you need to make the most out of your meal times eating nutritionally dense (i.e. foods that are full of the good nutrients, I didn't know what that meant for a long time LOL) filling foods that keep you full for long periods of time. That's where Keto really shines! Because Keto is a high fat low carbohydrate way of eating, you stay fuller longer; therefore, you can go long periods of time without reaching for a snack or packing in 3 meals a day. The Standard American Diet is high carbohydrate and low fat meaning that your body burns glucose (SUGAR) instead of it's preferred energy source ketones (FAT). That's why you hear "sugar-burner" or "fat-burner." It's the fat you eat that keeps you satisfied (or satiated). I wouldn't have believed it if I hadn't experienced it for myself. Whenever I do consume carbs, it never fails the next day my stomach is growling and grumbling wanting MORE carbs. Whenever I'm killing it on Keto, no growling stomach, no hunger pangs, and no digestive issues. That's real life talk! So, to answer the question, "what happened when I stopped eating breakfast" the answer is simple. This is the first time in my life that I've been able to maintain a weight loss. I've been able to maintain my weight loss and progress even when I go off the rails and eat all the carbs. Not to say that IF is a license to eat whatever you want (because you definitely pay for it! ), but it's something that I can do to keep me on track and feeling my best. Honestly, it's something I never thought I could do. I never thought I would be one of those people who chooses not to eat when others are eating. It's shown me that I can exercise self control and that I can listen to my body. To me, that's more important than physical results. I will be writing a follow up post with my tips on how to get started if this is something that you want to incorporate into your daily life. I highly encourage you to do your own research and to not be afraid of trying something different. If you have any questions or want to know more, let me know! I'm happy to dialogue with you about IF or anything else really. This girl loves to talk! This is a big year for me. I'm turning 30 in a couple of months! I'm not going to lie, I'm having a little trouble grasping the fact that I'm not going to be in my 20s anymore... BUT I genuinely am excited for the next season of my life. In the last few months I've been coaching myself through some "if you want different, you have to do different" (my personal mantra) strategies. One of those "different" things I want is to finally commit to a complete lifestyle change where I lose the weight, keep it off, and continue implementing real life healthy habits. This past Spring I set the goal of losing 30 pounds by my 30th birthday. A little backstory about me, I'm not a goal oriented person. For some people they can set a goal and they HAVE to complete it. I'm not wired that way. In fact, I'm a little jealous of those people. I've never really been able to lock in and stay focused on goals for long periods of time and actually complete the goal. I've tried all the goal setting and completing strategies and nothing has worked for me until now. When it comes to following through on your goals, do you know what I believe is the difference maker? A combination of maturity and personal growth. It wasn't because of a magic goal accomplishing formula. It wasn't because I took an online class on how to reach your goals (I do love online classes, tho). It was because I knew that it was time to grow up and I was ready to grow up. I wanted big changes. I wanted a new normal. I was finally ready to start working toward being the person I really wanted to be. Even something as silly as "30 by 30" has really helped me stick to my new way of eating. I'm not 100% perfect all of the time, but I am good 85% of the time. That's a win for me! Usually, I lose interest/focus within 2 weeks and I'm back to my old ways. This time has been different! I started my 30 by 30 back in May. So far, I've lost almost 20 pounds! I've got 2 more months to lose the final 10. Between Keto, Jesus, and my Essential Oils, I KNOW that I can do it! I KNOW that I will be able to reach the goal in the timeframe that I want. October 1st (my birthday), I'm coming for you! I started an IG specifically for my Keto journey called @CampbellHouseKeto. Check it out and keep up with me! One of the things I've mentioned a few times here on the blog and on Instagram posts is that I have PCOS. I want to share some details with about PCOS, what it is, how it effects women, and how I'm working to reverse it. Remember, I am not a professional in the medical field, just a woman who feels empowered enough to figure things out. PCOS is an acronym for Polycystic Ovarian Syndrome. The name makes it sound like it's an issue with cysts on your ovaries, but the name is just a scratch on the surface to the real issues going on inside. Some women do develop cysts on their ovaries, some (like me) do not. The real issue at play is hormones. PCOS is a hormone disorder. When your hormones are disrupted and not functioning properly, everything is thrown off. With PCOS your cycles are extremely irregular, you have difficulty losing weight and it's incredibly easy to gain weight. Other symptoms are partial or total infertility, fatigue, acne, excess production of testosterone, male pattern baldness, facial and abdomen hair, and mood changes. Yeah, there are some real great symptoms there. When did you realize that you had it? When I was in college, my cycle wasn't really a cycle. It was nonexistent. So like any mature college student would do, I called my mom. She encouraged me to find a gynecologist in my area and make an appointment, you know like real adults. After that visit to the doctor, I was put on birth control to regulate my cycle. They threw out the term, PCOS, but didn't really explain it to me. It was one of those situations where the doctor said, "You more than likely have PCOS. Take birth control." So that's what I did. I didn't do any research about PCOS or how birth control effects you. It didn't even cross my mind that I could be doing something about this diagnosis without medication. I had heard that being on birth control helped some girls lose weight, so I was excited to have that prescription. I was thinking that being on birth control would help me lose weight without me changing any of my habits. Yeah, college JJ wasn't all that smart. Being on birth control made me feel crazy so after 6 months I quit taking it. Also, it still never crossed my mind that PCOS was a real life condition and that I needed to do something about it. That drive and desire wouldn't come until years later after I got married and wanted to get pregnant. PCOS is a big deal because your hormones are a big deal! PCOS is the leading cause of infertility. A LOT of women have it, they just might not realize that they do. Not everyone shows all the symptoms and that's why it's so tricky. PCOS causes infertility or makes it extremely difficult to get pregnant. If you do get pregnant, it's a high risk pregnancy. Along with fertility issues, the other main symptom that I am focusing on correcting is insulin resistance. Insulin resistance is a dangerous road that leads to Type 2 Diabetes and Metabolic Syndrome. Those are 2 internal issues that I do NOT want to have. Finally, the 3rd reason why PCOS is a big deal is because it's linked to higher risks of cancer. For a long time I avoided the diagnoses. I just continued on my merry way slamming cheeseburgers, pizza, ice cream, and fries, but in the back of my mind I knew that things had to change. It wasn't until a couple of years ago that I actually felt empowered enough to take my life into my own hands and start making changes from the inside out. I knew that I didn't want to be on medication. I KNEW that I could work on my issues in a natural way. I knew that just taking synthetic medication wasn't going to solve my problem, but contribute to more. That was a turning point. The timeline coincides with our adoption timeline. After trying to get pregnant for a year and a half, I knew what it was. My body wasn't healthy enough to get pregnant. The systems weren't working. That was another major turning point. I started devouring all of the information I could get my hands on. I read story after story of people who reversed PCOS and went on to lead healthy lives. All of my research led to a 2 pronged approach to healing my hormone issue: diet/lifestyle changes and reducing exposure to endocrine disruptors. I've already shared making the switch to Keto in another blog post. You can read more details about that here. So toxins, unnatural products, chemicals, all the bad and scary stuff that's in processed food, cleaning products, beauty products, and pretty much everything else we come in contact with in our everyday lives. Yeah, that's kind of a bummer because toxins are everywhere, BUT, there are things we can do! We can make the switch to using the right kind of products in our homes and eating as natural as possible. That's one of the biggest reasons why I've joined up with Young Living, first as a customer and now as a distributor. Read more about that here and here. The first thing I did to start limiting endocrine disruptors was not order a starter kit of oils (that came a little while later!). I took a look at all the products that I came in contact with in the kitchen and those in my beauty products. Instead of storing my food in plastic containers, I started using glass containers. I stopped drinking out of plastic water bottles (that includes convenient water bottles like Dasani) and started drinking out of my stainless steel cup. I'm not perfect with it. I have the occasional bottle of water, but 95% of the time I'm drinking my own water out of a stainless steel cup. I bring my water with me everywhere I go. Glass bottles are also A-okay! I just prefer stainless steel. Too scared I'm going to break the glass.. LOL. I also got a stainless steel travel cup for my coffee. The next thing I did was evaluate my beauty products and did research on what to buy once I ran out -- soap, body wash, lotion, face wash, moisturizer, makeup remover wipes, and makeup. If it was going on my body, I wanted it to not be filled with chemicals. That also includes laundry detergent. It's been a slow change on that front, but I'm LOVING trying new products. I hope that gives you a clearer picture of what PCOS is and why it's a big deal. Even more so, I hope that you feel EMPOWERED to start taking health things seriously. You CAN make changes. You CAN do research for yourself and learn what's effecting you internally and externally. I would love to help you do that. I'm figuring out this stuff for myself and I would love to share what I'm learning with you along the way. We're a team! We have to help each other! If you have any questions about PCOS, tell me in the comments because I've probably had or currently have the same questions! I also recommend making the switch to non-toxic living if you don't have a condition like PCOS. You don't want endocrine disruptors effecting you at all! I'm a Little Interested in Oils! What do I do now? Using Essential Oils is more than just breathing in the good smells. While that's a benefit for sure, it's really about taking a stand for your family and for yourself. It's you, feeling empowered enough to make necessary changes that benefit longterm. It's you standing up against harmful products and chemicals in our everyday products that are not just damaging our environment, but our bodies. It's you recognizing that you CAN do things differently and that you're not alone in wanting what's best for you and your people. If you are ready to take your next step into healthier living, take control of what comes into your home, and be a part of a community of like-minded people, then I am committed to walk alongside you. Not just me, but a joint effort between me and my friends at Young Living! So what do we do now? What's next? You need some oils and a diffuser and I can hook you up! Because there are so many oils and products from Young Living, they've made it super easy to get started. I recommend purchasing a Premium Starter Kit. It's the best deal you can get and gives you the most versatile oils. Personally, I'm using these oils every day or every week. The Starter Kit is a huge $$$ saver. It's $160 for over $300 in YL products. What comes in the Premium Starter Kit? Plus, you get two samples of the Ningxia Red antioxidant drink! This yummy drink is made up of wolfberry, plum, aronia, cherry, blueberry, and pomegranate juices, vanilla extract plus lemon, orange, yuzu & tangerine essential oils. 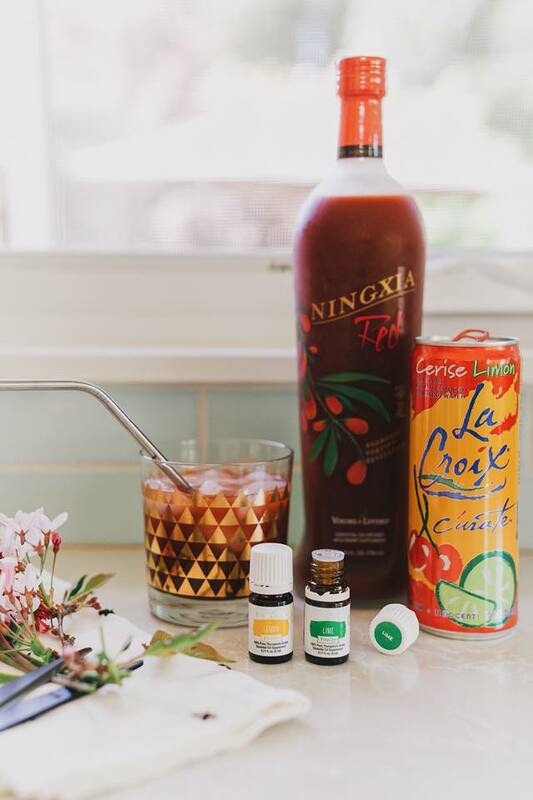 Ningxia helps support for energy levels, normal cellular function, and whole body and normal eye health. You also get a diffuser of your choice, a Young Living membership that gets your 24% off all products, samples to share with your friends & a Thieves house cleaner sample! Bonus: when you become a wholesale member, you are added to my team! This does not mean you are selling anything, it just means me & my team will be here to help offer support along the way! You will also get added to our Facebook group for additional help in your oily journey. Whoop whoop! I loved being a part of the Group. It was and still is so helpful when it comes to learning all the ways to use my oils! So, are you ready to do this? Are you ready to join me on the oils train? Make sure that the MEMBER option is selected & that both the ENROLLER & SPONSOR sections include my member number 13173886. (You can choose to be a retail customer but you will not receive the 24% discount, freebies, reduced shipping or promos.) Next, hit continue. A popup will show up, hit continue again. STEP 1 : select the Premium Start Kit of your preference. You will also see there is a Thieves Home Kit, Savvy Minerals makeup kits or the Basic Membership Kit. The items included in each kit are as listed. Each kit gives you membership benefits! STEP 2: This is where you will want to place an Essential Rewards order if you'd like to sign up for auto-ship, reduced shipping costs, points back on purchases & occasional freebies! This is the best route in my opinion. Where else can you get up to 25% back on each purchase?! Can't beat that! You'll simply place a minimum order of $50 a month to be on Essential Rewards ($100 minimum if you want to join the biz). Everything I use in my daily routine - my vitamins, oils, skincare, makeup - show up at my door monthly. The best part is, my monthly routine qualifies me for everything Young Living has to offer. It's awesome & I use my points on fun purchases like Ningxia! If you do not want to sign up for ER yet, simply skip this step. Step 3: If there are any other Young Living products you are interested in purchasing outside the kit, you can add them to your order here. Otherwise, click Continue & then Continue Enrollment when the popup comes on the screen. On the following screen, you will type in your personal information + create your Young Living account. Under Commission Processing Info, select INDIVIDUAL without social security. If you are wanting to join me as a Distributor & get your oils FOR FREE, then you will select Individual with social security so you can get paid! From there you will fill out billing & shipping. Once you're done you are officially "one of those oil people" and it's the BEST. If you have any questions about what it looks like to use oils, why it's worth it, or have any questions about particular oils, let me know! If I don't know the answer, I will happily figure it out. My main goal in this business is to help myself, I'm not going to lie about that. I want to be healthier, but my other main goal is to share what I'm learning with others and help YOU become the healthiest version of yourself. Now, the ball is in your court! Let's Go! A few weeks I ago, I shared a post about how I got started on Keto. I went into the backstory of the why behind why I wanted to do Keto and today, I'm sharing my tips on how you can get started. Since publishing that blog post, I've received messages from friends and acquaintances with questions about Keto and how to know if you're ready to start. I've compiled my best tips and suggestions to share. Enjoy! 1. do your Science-y research. Understand what Keto is and why you want to do it (or any lifestyle change). When you're doing your research, you're going to see over and over that Keto is short for Ketogenic. Ketogenic is the state in which your body produces Ketones to be used as energy. Your body can either run on glucose (sugar) or ketones (fat). You can either be a sugar burner or a fat burner. When you eat the Standard American Diet that's high carbohydrate and low fat, you're a sugar burner. When you eat Keto that's high in fat and low in carbohydrates, you're a fat burner. I am not a scientist or a nutritionist, but I am a believer. You can read more on the basics of Keto and the science-y stuff here, here, and here. I also read this book and it was incredibly helpful for me. If you are just looking to lose and gain the same 20 pounds over and over again, you can skip this step. If you're like me and want a lifelong solution to being healthy on the inside and reversing conditions like PCOS and prevent type 2 diabetes, then you MUST be willing to dig deep on a personal level to uncover your "whys." What's motivating you? What's driving you toward change? Are you living up to your potential (wrote some thoughts about that here)? Are you being the person you truly want to be? You have to be willing to answer those questions on a heart level, not a surface level. Once you do, you know what you're looking for. Even if you aren't a goal oriented person you can do this because there is a difference between quality of life and goals. I'm not very goal oriented, by the way. If I've learned one thing over the years it's that you cannot force someone or yourself into a lifestyle change. It's a personal choice. YOU have to be willing to recognize what you want and realize that you have to do act and think differently in order for things to change. If you want different, you have to do different. That's been my personal mantra for the better part of 2018. You can adopt it, too. I'll share! Doing your personal research helps you act and think differently so you can get the different results. 3. Forget all the rules about "eating healthy"
To buy into the whole Ketogenic lifestyle, you need to be a little bit of a conspiracy theorist. It's funny because it's true! Like I mentioned above, I am not a doctor, nutritionist, or a scientist, but you don't have to have a medical degree to know that processed food is terrible for you and environmental toxins are wreaking havoc on our bodies. You do not have to be a scientist to know that feeding animals chemically altered food effects the meat products, which in turn effects the consumer. You do not have to be a nutritionist to know that eating chemically processed food is not the way our bodies were designed. Keto is basically the food pyramid turned upside down. Keto is a high-fat, low carbohydrate way of eating (WOE). You're looking for healthy fats (butter, coconut oil, nuts, full-fat/good quality dairy), a moderate amount of quality protein (grass fed beef, non-vegetarian fed chicken, salmon, etc), and limited carbohydrates (leafy greens, vegetables, not starchy vegetables like potatoes, sweet potatoes, and corn). When you're eating a combinations of these foods they are the most delicious, flavorful, and satisfying foods! It doesn't take long to get over "food guilt" once you realize just how good real butter is and what it can do for ANYTHING. It's just a little difficult to change your muscle memory. All of the sudden mayo is encouraged and bacon is welcomed. It takes a hot minute to get adjusted to. What I am not interested in is a debate about this way of eating vs. that way of eating. Every way of eating (WOE) has pros and cons. Every WOE has scientific studies backing them up (the real question here is are those studies credible, but I digress). If you aren't on the Keto train, that's cool. However, I've done my research and I know that Keto is the right WOE for me. This is the perfect follow up to forgetting all the old rules about "healthy eating." Unless people have done the research and have seen for themselves the benefits of eating Keto, they aren't really going to understand. They might try to debate with you on why multi-grain wheat bread is good for you or give you weird looks when you say you skip breakfast everyday. You can have those conversations when the time is right. For me, I needed to sit a while with Keto and continue doing the "science-y" research, so I could confidently know what I was talking about and know whether or not it was working for me. Luke and I didn't tell anyone that we were doing Keto for months and I'm glad we kept our mouths shut. You see, now we have the results to back up what we say. People have seen us stick to Keto and fully enjoy ourselves. Also, the methodology is second nature to us now, so we can casually talk about it without feeling like we have no idea what we're actually saying! You can start a new WOE on a Tuesday. It doesn't have to be the first day of the next month. It can be any old day. I think that you'll just know when it's the right time for you to start. Also, you don't have to make a complete 180 and start strict Keto at the beginning. You can take your time and warm up to it. Like I said in my first post about why I started Keto, I started really slow. I started leaving the starchy carbs off my plate during the week while I was continuing to learn the ins and outs about Keto. You can do the same! Whatever you're starting looks like, just go ahead and do it! Don't wait for a magical time because there will never be the perfect time. Guys, I've been keeping a secret. I'm oily. LOL. I've been using Essential Oils almost daily for the past few months. They've become such a normal thing that I forget that oils are still kind of a mystery to a lot of people. I took the same approach as I did with starting Keto in that I took my time and got comfortable with my starter kit before really talking about Essential Oils, how much I love them, and how valuable they are to my everyday routines. These oils are just as big a part of my journey into healing my body from the inside out as subscribing to the Keto Lifestyle. Oils and Keto work together! Around this time last year, I started doing researching natural approaches to healing PCOS and hormones. Essential Oils and Keto popped up in almost every blog post that I read, but I wasn't ready to fully get into oils. You know what made me dive head first into Essential Oils? Learning about the link between cancer and environmental toxins. Learning about how the everyday toxins we consume, breathe, and absorb into our skin disrupt our hormones. My jaw hit the floor when I learned that the percentages of people getting cancer from environmental toxins was significantly higher than people getting cancer because of genetics. When I learned that the toxicity from E V E R Y T H I N G in our environment, from our food to our washing machine detergent, is disrupting our hormones, I knew that this was a major cause to my PCOS and my hormone issues. I knew that it was time to clean it up when it came to what I ate, the household cleaners, and beauty products I used. I'll be totally honest: I don't know everything about PCOS and essential oils. I'm committed, though, to learning and testing things out. I wholeheartedly believe that my internal healing will happen with a lot of prayer, my oils, and Keto. I am thankful that I get to go and pick blueberries every summer. My freezer gets restocked on blueberries and I use them throughout the year for baking or making smoothies. My favorite part isn't having the blueberries in my freezer, it's the tradition of going and picking! Every summer growing up, we'd go pick blueberries at my Mimi's house. It's a step out of the everyday routine and it just feels good! It feels good to be doing the epitome of eating local -- picking your own berries. This Saturday morning was unseasonably cooler than typical MS mornings. It had just rained so the bushes and blueberries were wet. Our arms were immediately soaked due to reaching in and picking the plumpest berries. The Blueberry Crew which is Luke, Becca, Ms Barb (Luke's mom), and me, spent about an hour picking and talking. It was just perfect. Luke and I walked out with a good haul. I measured them on my food scale when I got home and it was over 4 pounds of Blueberries! Whenever I bring fresh blueberries home, I like to immediately wash them, so I don't have to worry about washing them after they are frozen. I can immediately incorporate them into whatever I'm making. I empty my bucket into colanders. Give them a good rinse, and then lay them on an old (and clean!) towel on my counter so the berries can dry. Pro Tip -- use a blue or darker colored old towel because blueberries will stain. Once the berries are dry, I pack them into gallon size freezer bags, lay them flat in my freezer and stack the bags on top of each other. I don't freeze them all immediately though. I usually leave about 3 cups in my fridge so I can use them right away. In the past we've made blueberry muffins, blueberry lemonade, and blueberry bread. This year is different because we are following Keto. Instead of the sugary treats, I made a Gluten Free and Sugar-Free Blueberry Cheese Danish Coffee Cake using this recipe. I never know how my Keto baking will turn out, but this was YUMMY! It wasn't too sweet, sometimes sugar replacements are just too sweet (Swerve is my favorite) and it didn't taste too almond-y. If you've tried Gluten Free baking, you know what I mean. I was very pleased with how this came out! Plus, baking in a cast iron skillet makes me feel like a pioneer and I like that - LOL. Maybe you've heard of Keto, maybe you haven't. Maybe you've heard a co-worker mention the word Ketogenic, Keto, or Ketosis, but you aren't really sure what it is. I'd love to give you some insight onto the things I've learned over the past year. You see, before Keto, I had an idea of what I wanted my everyday life to be like, but didn't know how to get there. I had a vision of how I wanted to be, but had no idea what to do. Then, I found Keto. Now, I had heard of it before, but never really dug into it. I didn't think I could live without bread and pasta. Turns out I can. My Keto story starts back in 2017. I was working with my OBGYN, taking hormone medication, and trying to get pregnant. It wasn't working. The hormone medication was actually making me gain weight and I felt like my efforts were canceling each other out. Gaining weight on top of excess weight surely wasn't helping me get pregnant. My journey, I'm sure started like many others, GOOGLE. I started searching things like, "What to eat to get pregnant" and "Pregnancy Diet." A few rabbit trails later I found articles sharing how eating Keto was good for people who have PCOS. This was the first time that I ever felt empowered enough to try to heal my body from the inside out, not just rely on medicine. I wanted to take an active role in healing my body, not just wait for it to magically happen. So I started researching and soaking up everything I could about reversing or healing PCOS. The majority of credible resources that I found pointed to Keto and Essential Oils. I started listening to podcasts and reading through Keto basics each night after dinner. I knew that this was what I needed to do. I needed to ditch all processed food, grains, sugar, and household toxins to get what I wanted. This meant more than wanting to lose x amount of pounds. It was deeper. I wanted to start Keto because I wanted to heal my body naturally. I want to heal my hormones and take back my fertility. Also, I was eager to try Keto because I loved all the foods on the approved foods list. Cheese? OH YEAH. Ranch Dressing? OHHH YEAH. Bacon?? Are you kidding me?? Cream in my coffee?? What is this gift?!! I was particularly excited about the Ranch Dressing because even though I like salad, I don't love "healthy" salad dressings like vinaigrettes. Never have. I like the creamy and rich stuff. So you jumped in right away, right?? No, I didn't. I'm kind of a slow processor when it comes to making big changes. I needed to immerse myself in the knowledge and change the way I thought about food. I knew from my previous diet experiences that to be in this for the long haul, to really see the long term results that I wanted, that this wouldn't be a quick fix, 20 day diet. This would be a complete OVERHAUL entailing physical and (most importantly) mental work. So I started making changes upstairs before I making major changes in the kitchen. I took a slow, boring approach. For example, I started leaving out the starchy carb sides (rice, pasta, bread) when I would cook during the weekdays. Then, we slowly stopped having dessert every night. As I was learning about Intermittent Fasting, we started skipping breakfast. We weren't breakfast eaters anyway, so that was easy. I am confident that these slow changes are what set me up for Keto success. So thats how I got started! I am working on a separate blog post with suggestions on how anyone can start shifting their life towards Keto. If you have any specific questions, please let me know so I can include them in my post. I'll also include references for the resources that were super helpful to me then and helpful to me now! Also, as a teaser, over the past year of doing halfway Keto (2017) and full out Keto (May 2018 and onward) I've lost about 30 pounds total! And you know what the best part is.... I've kept it OFF. Okay, okay, I'll go ahead and give you one of my tips for starting Keto. Start doing your research. Maybe you don't have any glaring in the face health issues like me, but maybe you want to clean up your lifestyle, quit the processed stuff, have more energy, ditch the toxins, etc. Start reading things for yourself. And of course, be on the lookout for my follow up post, Tips for Starting Keto. I've just started reading the book of Ephesians and I wanted to share with you some major truths from chapter 1. The whole first chapter looks like a rainbow in my Bible (I use a highlighting method) and that means that things are clicking and deep heart connections are being made. As a Believer it's important to have constants or "always-es," as I like to call them, in your life. Yeah, I made that word up, but you get what I mean, right? Below are some truths that we can ALWAYS trust, no matter what. Always remember that you are chosen to do God's work. It was His plan all along that you would belong to Him, adopted as one of his own. This truth is extra special to me right now because "Chosen" is our adoption theme. You can read more about that here. Always remember that God operates on THE TIMELINE. He's always on time because His timing is perfect. Always remember that you can trust God's plan. He's got a great plan and an inheritance of his children. Always remember that once you accept the gift of salvation, you are sealed in Him, in His family. Nothing you can do, think, say, or feel can separate you from God. I used to struggle with doubt, big time. Thankfully, I don't struggle with that doubt anymore. I can confidently know that my salvation is sealed. It's done. Always remember that you can ask God for things. You can ask for things like wisdom, revelation of knowledge, an enlightened heart to know his immeasurable greatness. He's an open handed God and wants to bless His children. Always remember that Jesus rules over everything. It's His position. It's His place. Nothing is above Him. When things are going sideways, you can always trust that God is seated above everything. Everything is under His feet. I've been thinking about these "Always-es" for the past couple of days. I like knowing where I can look to when I need to be encouraged. Even though these truths are there, sometimes they are hard to remember. It's easier to give over into fear and doubt or question God about why ______ happens or happened. Our faith can run deeper than that. We can choose to trust God no matter what! If you are a Jesus follower, I want to encourage you to think about these truths along with me. I'm sure you could write them out more elegantly than I did. Make some "always-es" for yourself in your own words. Tailor them to your life and circumstances. If you aren't a Jesus follower and don't really know what I'm talking about, that's okay. I hope that you're encouraged by the Hope that Jesus gives. I don't have to eat what's planned for that particular day. Meaning, I could swap meals I had planned and prepared throughout the week based on how I was feeling at each particular meal. For example, if lunchtime hit and I really wanted what I prepared to eat for dinner at lunchtime, I had the freedom to move things around and make that happen. I know, I know. Major "duh" moment, but it was kind of revolutionary for me as it unlocked a system that allowed me to be planned and organized for the most part, but not give up on my spontaneous nature either. By the way, when I say Meal Planning I'm talking about planning out the food you're going to eat in a week's time (or however long you go in between grocery store runs). Also, I thought Meal Planning was only for moms with like 4 kids. That's totally not true! Another "duh, JJ!" moment for sure. My weekly rhythms were definitely lacking organization. I knew that if I thought through recipes I want to eat + what our week looks like event wise, then I could bring a sense of calm and less "frazzled-ness" to our house. Once I committed to Meal Planning and figured out some tips and tricks, the mystery of meal planning (and meal prepping!) was FINALLY unlocked. I'm going to share the secrets with you! Shop smarter by using coupons and taking advantage of weekly deals, etc. Knowing why I wanted to start meal planning in the first place helped me stick with it when I would have rather done other things. I don't do things just to do them. If I am going to add something to my routine, it better be worth it. Head ups... it's worth it! Take a general look at your week and see where you've got natural, somewhat consistent time gaps. This allows you to fit Meal Planning and prep into your already established weekly rhythm. After a few weeks of trial and error, I found that our best time to go to the grocery store and meal prep was Sunday afternoon/evenings. It sets us up for a great week! Another revolutionary thing for me was creating a system where lunches weren't dependant on leftovers. Why had I not thought of this? No idea, but I thought it was brilliant! For so long I considered lunches to be just salads, sandwiches, and leftovers. Not their own meals prep! I'm sure you realized this a long time ago, but it's a more recent thing for this gal and I'm telling you: it's my best Meal Planning secret on this list. What I do is plan 2 lunch meals. I alternate them every other day. Yes, there are 4 days in a work week, but it works well for us because we usually eat out for lunch once a week. Either with our whole staff or one-on-one lunches with people in our church. I love cooking. I really do. That doesn't mean that I want to cook every night, though. The way my meal planning works out is that I cook maybe 4 times a week in total. During the week is when I try new recipes and get really creative. On the weekends, I like to chill out so I always have something quick and easy on hand (for us, that's bacon and eggs!). If you prefer writing things down via pen on paper, great! Do that! If you can't keep up with the paper that you wrote your recipe list down on, and you lost the pen too, then stick to digital. I'm digital, baby! I have a Spreadsheet in my Google Drive where I plug in recipes I want to make for the upcoming week. I've found that doing this helps me in the future because as I continue to build my Meal Plans out, the previous meals in the spreadsheet serve as inspiration when I'm not feeling anything new. Plus, when you're short on time you can copy and paste an old Meal Plan that you liked from weeks ago. That in itself has been a lifesaver for me! Whether you're digital or analog, keep up with the meal plans you make in a notebook or your Google Drive. They'll help you in the weeks where you're stumped or short on time. Those are my secrets! You can plug them into your life whether you eat Keto like me or the Standard American Diet. These secrets work for everyone, especially if you're not the most organized person -- like me! Our town hosts a local Farmer's Market every Tuesday night during the summer. We went this past week and it was just the best! The weather wasn't 1000% humidity like it normally is in the summer. It was actually a perfect night to slowly make our way through the downtown market. Everything was so fresh and perfect! We stopped at this first stand called Salad Bar Farm. How cute is that name!? Their concept is so cool. They bag up fresh kale and lettuce and have everything you need for a good salad. We picked up some sunflower micro-greens. I tossed them into my salad yesterday and they made my salad extra nutritious and flavorful. The vender also said that they taste great in scrambled eggs! Trying that out soon. One of the highlights of summer is getting a GIANT Lemonade from the stand with the Hydraulic Lemon Press. It's seriously the coolest (and most delicious!) way to make lemonade. Becca and I both got Strawberry Lemonade. One magical time last summer we got Peach Strawberry Lemonade. It was heaven on earth!! I love how vibrant and colorful all of the vegetables are. I purchased some freshly dug red potatoes and cooked them up as soon as I got home. You can definitely taste the difference in a freshly dug up potato and one that's sat in the grocery store for a few days. I think our favorite stand was Sweet & Sauer. We LOVE Kombucha. The homemade Strawberry Basil Kombucha was absolutely incredible. I'll go back next week just for that! We also tasted Kimchi and Sauerkraut for the first time. Definitely NOT what I expected flavor wise. I LOVED it. This week I'm doing a little recipe research to know what to pair with sauerkraut and plan to purchase some next week. Did you know that fermented foods like Kimchi, Sauerkraut, and Kombucha are incredibly good for your gut health? Fermented foods help your digestion and I'm not mad about it. These flavors are bold and incredible! I'm looking forward to adding them into our weekly eating. I love it that our little town does stuff like this. I'm all for shopping local and eating local. Next time I go I'll bring my reusable grocery bags and cash. I'm very thankful to all of the family farms, butchers, dairy farmers, and other organic vendors that come out to town each week. Let's keep showing our support! Something that's different about 2018 compared to my last few years is how I'm reading my Bible. Being a pastor's kid, I've always been involved in church. I knew from an early age that reading your Bible was important. Years of Sunday School, Awana, and Bible Drill definitely helped me become familiar with the Scriptures, but it's taken me a little while to really figure out reading my Bible in a way that makes sense to me. And you know what, that's totally okay. Your relationship with Jesus is a personal relationship, meaning that it's hard to copy and paste a Bible Reading method without personalizing it. In the past I would rely on devotional plans with more emotional depth than scripture depth. They were great and I love devotionals, but I found myself scared to read my Bible on my own. I became really dependent on those devotionals or books for my Bible reading. I was fearful that if I just read scripture out of the Bible, I wouldn't be learning because I wasn't smart enough to know what was really going on. That sounds crazy, right? Maybe you've had similar thoughts and feelings. I'm thankful that I changed those thoughts and feelings over time. Now, I wake up ready to READ, learn, and journal. That desire has been lacking in my life for years. I'm incredibly thankful that the desire to read my Bible is present, but it's become a total necessity in my life. I want to share with you how I've figured out what works for me and the steps I took to get here. During those times when I wasn't reading my Bible and couldn't finish a devotional plan to save my life, I would pray this very simple prayer, "God, please give me the desire to read your Word." I wouldn't say it every day, but when I would think about it. When I felt hopeless and like I was being left out because all of these other people have a dynamic Bible reading relationship, I'd ask God to help me want to read the Bible. So, if you are in a place like I was where there was no consistent reading and DESIRE to read the Bible, start with prayer. Ask God to help you WANT to read the Bible. It was the beginning of 2018 and I could feel that a desire to read was kindled in my Spirit. That sounds crazy, but it was God answering my prayer. I knew that I loved the book of Romans. It has been years since I read it, but I knew some of the most meaningful passages of Scripture were found in the book of Romans. I ALMOST tried to look up a devotional or book that guided you through Romans, but I didn't. There was a 3 week breakdown of reading Romans with "going deeper" passages and I chose that instead. I wish I could say that I flipped to Romans everyday and read the book within the allotted time period. I didn't. It was very hit and miss, but the point was that I READ THE WHOLE BOOK. My first goal was just to read the book of Romans. It didn't matter how long it took me, I was going to read the whole book, not just the first 3 chapters. I was BREAKING the cycle of starting something, but not finishing it. The more I read, the more other desires came back. I started jotting things down in my journal. I used to be a big journaler, but quit a long time ago. The desire to write down some thoughts came back, so I did it. Pretty soon I was filling up a couple of pages each morning with musings, prayers, and thoughts about my life and whatever chapter I was reading in Romans. After I finished the book of Romans, I went right along to 1 Corinthians. Every week I was becoming more and more consistent in my Bible reading. Reading 1 Corinthians was AWESOME. I asked God to show me things, and HE DID. I took what I was learning and started putting it into practice and God has CONTINUED to show me new stuff! As I was reading, I was underlining scriptures and putting those notes in a journal. I wanted to do it differently though. I wanted to start marking up passages in my Bible and making notes in my Bible. I was looking for a really simple Bible Journaling method. 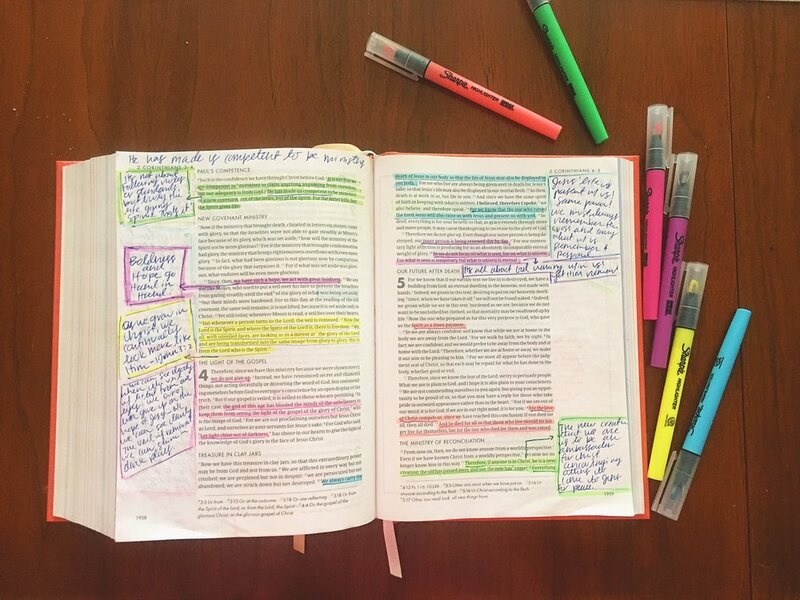 I wish I could doodle and write pretty like the Bible Journaling I see on Insta and Pinterest, but I knew that I just needed to stick with basics -- highlighting and note taking. I follow Jordan Lee on Facebook and Instagram (she's a great follow!) and stumbled upon her Brighten your Bible resource. I went out and bought a pack of highlighters the next day, y'all! Doing this method has been so helpful for me. It helps me make connections and really see deeply what's going on in the passages. You may not love this method like I do, and that's okay! You can figure out what works best for you. I love color and I love notes. This works for me and it's been super beneficial in going deeper in my Bible reading. I am very thankful that I've made my Bible journaling a regular thing. I feel like I have more purpose and I'm more aware of what's going on in my life. I feel much more calm and centered. God's Word really is living and powerful. YOU CAN read it and learn things. You do not have to be a Bible scholar to be able to understand what the Bible says. If I can do it, you can do it too! If you find you're in a place like I was where there was no desire to read and fear of not understanding, start praying. Ask questions. Start where you are familiar and then find what works for you. You can do it! I'll help you! All you have to do is ask. I recognize a major tension in my life is effort vs sloth as well as extreme avoidance. It's hard for me to self-motivate and stick to something long term. I'm ready to alter that pattern and ready to commit to something. With that, I need to find a lifestyle that's going to work for ME. The unfortunate reality of the "diet" world is that there are A MILLION different paths to choose. Each diet showing science to back it up its claims (whether it's authenticated or not). Each plan has glorious success stories with the almost unbelievable before and after pics. It's difficult to know what to do, whose voice to trust, and what plan to follow. My diet past consists of Weight Watchers, Low Carb, Ideal Protein, one and a half Whole 30s, and stab at clean eating. Low Carb, Ideal Protein, and Whole30 are kind of similar in the no grains and sugar platform but are still vastly different in methodology. Even just with the small handful of "diets" and programs that I've tried, there are a million voices to wade through. Something else to consider is the motivation for food plans. There's eating certain ways to be trendy and there's eating for specific health issues. If I choose a plan to help my Hypothyroidism (I have a mild case of Hashimoto's), then my personal research suggests going Gluten Free. If I choose a plan to help lower my cholesterol, then my personal research suggests going vegetarian or flexitarian (a flexitarian is a vegetarian with benefits). If I choose a plan strictly for weight loss, then, based on my prior experiences limiting carbs would be an effective move for me. If I choose a plan to manage my PCOS, then its KETO, clean eating, and/or no dairy. If I choose to focus on NOT contracting Diabetes, then it's a no sugar plan. I'm overwhelmed even just trying to pick a lane! How is someone who doesn't have a degree in nutrition supposed to know which direction to go?! Are you sensing my frustration? The truth of the matter is that any plan I pick is going to benefit me. I just have to choose something to commit to. I've deduced that one of the biggest reasons why I haven't just picked a lane and started is fear. I'm afraid I won't be full. I'm afraid I'll want more. I'm afraid I won't be satisfied. I'm afraid to preach the changes I'm wanting to make because my track record is TERRIBLE. I'm afraid of the inconvenience I'll bring to my family and friends. Those concerns are easy for me to dissolve because I know that my family and friends want me to be healthy and they will support me during this process. Yes, committing to a different way of eating causes me to feel fear and you know what? That's silly. The first thing I need to do is figure out what I want to do and make a realistic plan. Let's start with picking a lane. There's gluten free, dairy free, low carb, clean eating and flexitarian. What's common in all of these methods? Heavy on the Vegetables, limited to no processed food, and avoiding sugar. I can start there and pick a plan that's going to fit for my body. What's important in choosing your plan is knowing yourself. Truly Knowing your tendencies and patterns is the only way that you're going to know what's right for you. My impulsive/spontaneous side is ready for something new and my lazy sloth side is the equivalent of the face emoji with the x's over the eyes. You know the one. So what did I choose? I'm not ready to share that yet. Everything is still so new and fresh. I'm getting used to new habits and a new mindset. I want this to be very normal way of life before I share what I'm up to! If anyone has struggled or is struggling with the confusing and contradicting information on what to eat, how to eat, what's good, what's bad, etc. just know that I feel you and I completely understand all of those feelings. It's hard to know what the right path is, but I'm confident that we can all figure out what's best for each of us! I'm not here to give a diatribe against the destructive habit of comparison. It's been talked about before. We all know that we aren't supposed to compare ourselves others. We're supposed to stay in our own lanes and focus on our patch of grass ("the grass is greener where you water it" mindset). But what happens when you don't know how to stop comparing yourself to others? Unfortunately, there's no on/off switch. If you're anything like me, then you've thought about this a lot. You know that comparison is wrong. You wish you didn't struggle with it. You would rather not spend your mental energy browsing through someone else's life thinking about how easy things are for them. "If I had a body like ______, then life would be so more fun." "If I was more disciplined like _______, then my life would be so much easier." "If I had the genetic makeup like _____, then I would never struggle." "If I were more talented like ______, then everything would come so easily." "Why is ________ succeeding in getting healthy and I'm not?" "How can _______ make changes and see results and I can't?" These are real thoughts that cycle through like mental slideshow more than I'd like to admit, especially those last two. So, how do we break it? How do we break the comparison cycle? Honestly, I don't know because it's something I struggle with daily. In the spirit of habit change, I've come up with 3 strategies to use whenever I feel comparison creeping up on me. When I catch myself thinking, "Why is ________ succeeding in getting healthy and I'm not?" and "How can she make changes and see results and I can't?" or any other comparison thought in the bouquet, here's what I'm going to do. Pause and Talk to Myself. Remind myself that I am capable of doing hard things, that I am capable of implementing self-control, and that I am in control of my actions. Personally, I like to quote/meditate on scripture. Right now, this verse helps me deal with my comparison emotions. It shifts my perspective from being the victim to using it as an opportunity to grow my faith. This verse tells me that I can give my emotions to Jesus and receive peace. I can also dive deeper and ask, "Why am I responding like this? Why is comparison my immediate reaction?" The answer is always the same. I'm responding that way because I'm struggling to make the hard choices and leaning into laziness and convenience over self-discipline. If I leave the room and distance myself from whatever is causing the comparison feelings to rise up, I'm more likely to not cave in. If I'm scrolling through social media, then I can put my phone down or close the laptop. Then, I could go for a short walk, unload or load the dishwasher, quickly tidy my house, or read a chapter of a book. Over time, I want to build the habit of quickly shutting down those feelings of comparison. If I'm actually talking with someone when the feelings arise, then I can change the subject or end the conversation. By changing directions whether that's literally or figuratively, I'm telling myself that I don't have to emotionally dwell on these feelings of comparison. Gratitude brings perspective and shifts focus. When I actively think through things I'm grateful for, the emotions that comparison brings seem to melt away. I think that the gratitude piece is the most important strategy that we can implement when coming face to face with comparison. It will take time to remember to use these strategies, but I'm confident that if I commit to practice one or all of these strategies, that my reaction time will decrease over time. Meaning, that it won't take as long to process through these feelings. Now, I turn the question to you. Do you struggle with comparison? How do you deal with it?